The world’s first cryptocurrency has recently gone well over $19K. 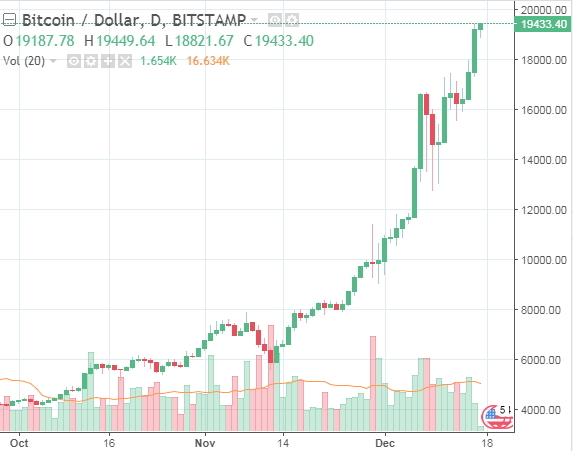 CoinMarketCap reports that later on Saturday, Bitcoin broke over the $19K threshold and reached 19060 USD/BTC. Atthatpoint, theBTCmarketcapexceeded $316 billion. In 2 hours, the exchange rate retraced a bit below $19K. However, 24 hours later, Bitcoin resumed the rally and exceeded 19400 USD/BTC in a couple of hours. Atthispoint, themarketcapisover $324 billion. Over the last 24 hours the digital currency has already gained some 10%. NordFX reports that since the beginning of 2017, Bitcoin has appreciated by 1700%. Experts name 3 major reasons why Bitcoin has been growing over the last few months. First of all, the first trading sessions turned out to be a huge success for Bitcoin futures (the CBOE launched Bitcoin futures on December 11th, and the derivatives gained over 25% within the first 24 hours of trading). Secondly, the CME has launched Bitcoin futures as well this morning. For those of you who don’t know, the CME is the world’s biggest commodity exchange. If the start is successful, this is definitely going to contribute to the BTC rally, and it’s seems like this is already happening. 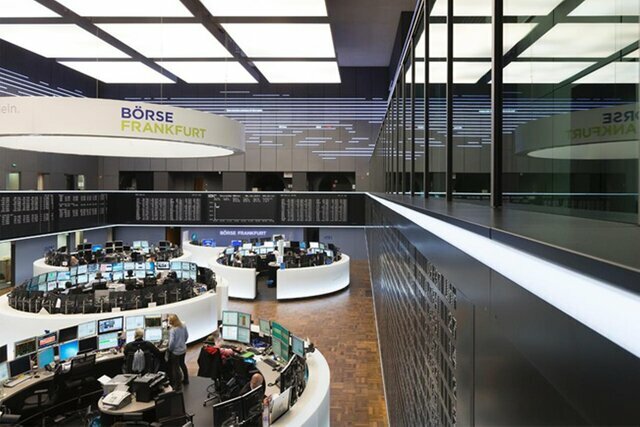 Thirdly, a representative of Deutsche Boerse, one of the biggest exchanges in the world, told Wirtschaftswoche that they are considering the idea to launch their won Bitcoin futures.